Celebration – The packet pick-up is held at Riverhouse on the Deschutes so runners can have a relaxing night before the big day. And there will also be beer, cocktails, food, music, and more during the awards ceremony after the races. Savings – Teams of 6 or more runners get a registration discount. 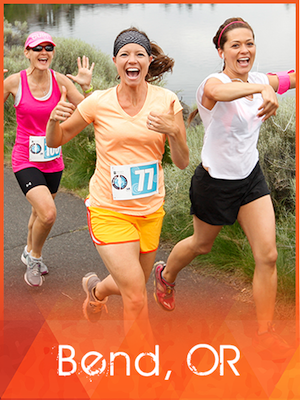 Or a runner can sign up for future races in the series (Spokane and Sisters) to save. Family – This is a women’s event, but men are allowed to run (just not be counted in the results). And there are Happy Kid events to get those kiddos of all ages moving and grooving. 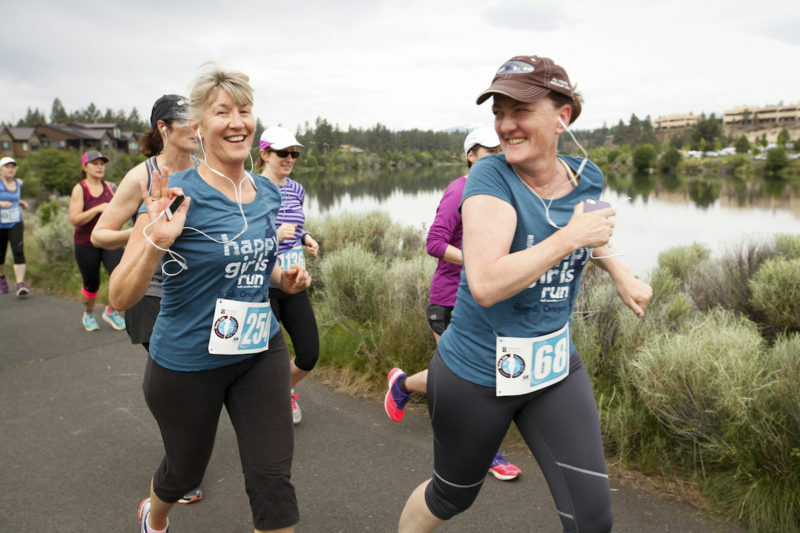 So call up some runners to plan for a Girls Weekend in Bend this May. All fees increase $5 at end of April. Discounts available for teams of 6 or more. 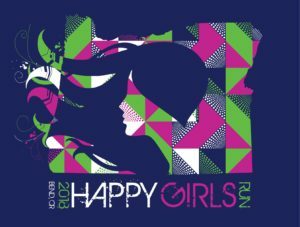 5K and 10K finishers receive Happy Girls socks. Half marathon finishers receive Happy Girls shirt and necklace medal.